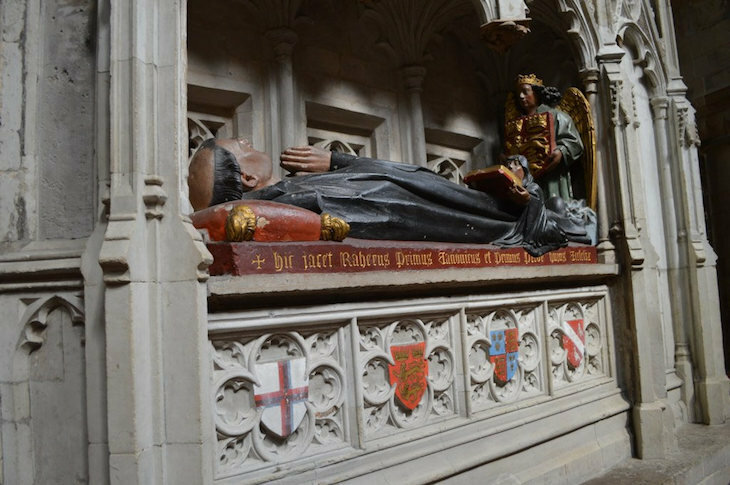 Who Was St Bart, And Why Does He Have A Hospital In London? M@ Who Was St Bart, And Why Does He Have A Hospital In London? 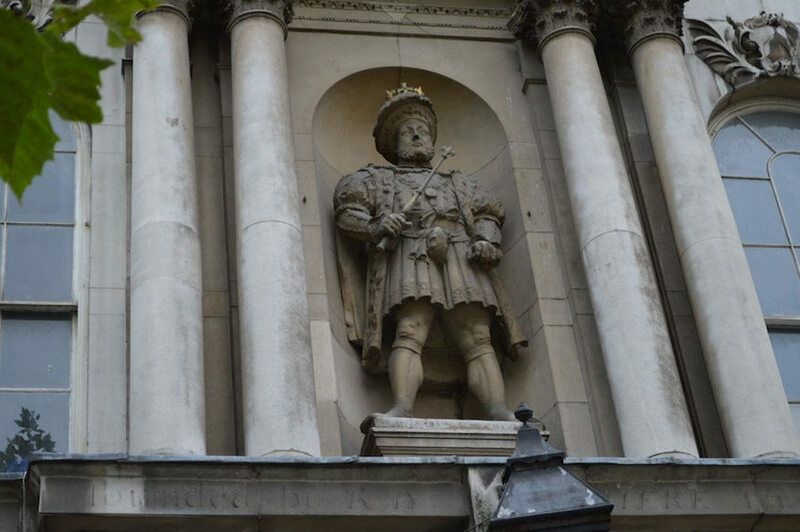 Not St Bart, but Henry VIII, who stands guard over the entrance to the hospital. St Bartholomew's Hospital, usually called Bart's or St Bart's, is one of the most famous hospitals in the country. It's stood in Smithfield since 1123, making it the oldest hospital in the country on its original site. But who was St Bart, and why did he lend his name to the institution, as well as two churches, a nearby road and a brewery-bar? The hospital was founded by a courtier of Henry I known as Rahere. Rahere is sometimes portrayed as a jester or minstrel, but little is known about his early life. It's said that he tired of court politics and, following the deaths of the queen and heir to the throne, he decided to seek a more penitent existence. You don't ignore a directive like that. Rahere recovered, trekked back to London and set the hospital in the name of his saviour saint (planning regulations were much more forgiving in those days). At the same time, the revitalised pilgrim founded St Bartholomew's priory, taking up the head position of prior. This later became St Bartholomew the Great church. His painted tomb can be found within that magnificent building. So who was St Bartholomew? He's the one on the right, in this painting by Dosso Dossi. St Bart was one of the 12 apostles, the chief disciples of Jesus. Tradition has him spreading the good word around India and Armenia. It was in the latter region that he was martyred by the unenviable method of flaying followed by upside-down crucifixion. Dossi's painting alludes to both of these. Bart's robe/skirt thing is not only a trip-hazard, but also resembles a flayed skin. Meanwhile, that weird object he's pointing to on the floor is surely a reference to the upturned cross. 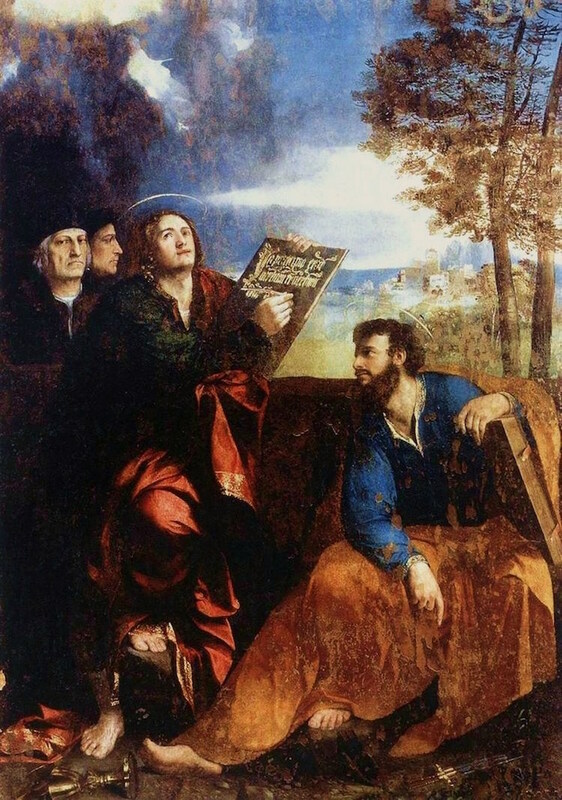 Fittingly, given his hospital connections, St Bartholomew is the patron saint of people with neurological diseases. He's also the patron of butchers, and may well have been invoked across the centuries by the meat-peddlers of nearby Smithfield Market. So, pop along to St Bart's Brewery, raise a toast to Rahere, and perhaps tuck into a portion of pork scratchings in slightly distasteful honour of the hospital's flayed saint. See also: Who was St Botolph and why are so many London churches named after him?